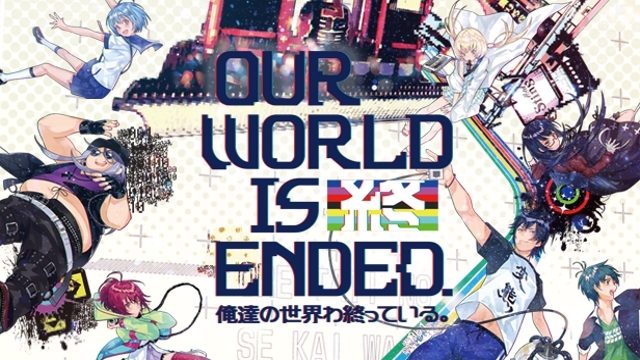 Back in late October, PQube announced that it would be handling the western localization of Our World is Ended. Fast forward just three months later and we’ve now been given an official release date. A Day One Edition of the game is set to release on March 22, 2019 in Europe and on March 26, 2019 in North America. For those interested in picking up the PlayStation 4 or Nintendo Switch editions, pre-ordering now will net you a special edition copy. 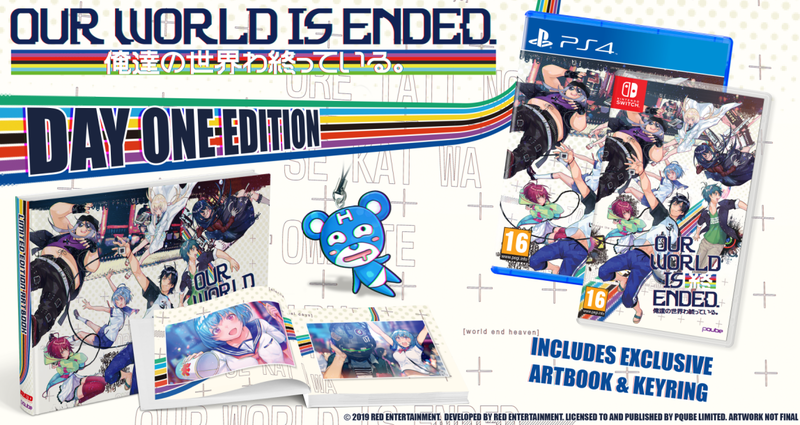 This will come packaged with a 100 page artbook (featuring illustrations and CGs), a custom keyring based one of the in-game mascots, and a physical Day One Edition of the game. Publisher PQube and the developers at RED Entertainment boast the game’s 40+ hours of gameplay as well as its unique visual style. While it was originally released for the PlayStation Vita in Japan, this particular release includes PS4, Switch, and Steam versions. Digital listings do not appear to exist for the PS4 or Switch editions yet, but keep an eye out for those as well. If you’d like to learn more about the game’s story or content, please take a look at the announcement article that we published back in October. Additionally, check out PQube’s official website.